Thank you so much for whooshing your way through another month of 2015 to get here! I hope you had a wonderful April Fool's Day! I can't tell you about the joke I played on the Mister because this is a family blog. And today I have very special family event for you. 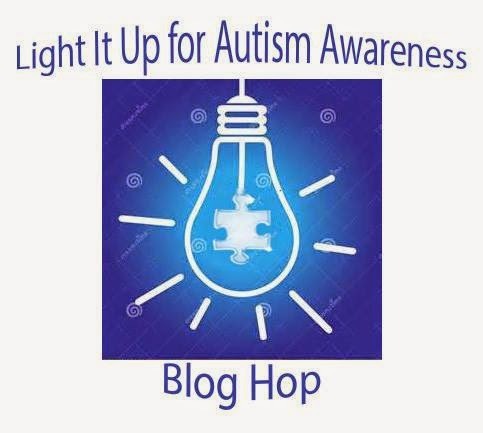 I am here as both a participant and a sponsor for the Light It Up Blue For Autism Awareness Blog Hop! Just as cancer has touched all of our lives in one form or another, so now has autism. The current statistics for children experiencing some form of autism is sobering as 1 in 68 children and their families are now affected, which impacts all of society. When you make your charitable contributions for this year, I hope you will consider Autism Speaks as one of your contributions. Thank you! The Light It Up for Autism Awareness Blog Hop is the brainchild of our fellow bloggers, Veronica Z of So Many Stamps So Little Time and Tenia Nelson of Jazzy Paper Designs. Both of these blogs will have an Inlinkz button for you to add your card to the gallery, just like you do for any card challenge. Veronica and Tenia have put a lot of time and effort into making this hop happen. Please make sure you thank them! In addition, on Veronica's blog you will see there are MANY fantastic sponsors supporting Autism Awareness and I'm delighted to be one of them. I'm happy to be donating four (4) $25 gift cards of the winner's choice and I am making a matching donation to Autism Speaks. You can see the complete list of sponsors/prizes HERE on Veronica's blog. If you would like a chance to win a prize from one of these sponsors, leave a comment on this blog and/or any of the other blogs participating in today's hop. on Veronica's blog on Monday, April 6th! My "blue" card for today's hop is one I made a while ago for a bloggie friend, but never posted. It was waiting for this special occasion. I won't keep you. Hop along! Make sure you leave comments here and along the hop for a chance at the great prizes! Thank you! Enjoy your day! No, seriously, enjoy. LITS! * Thank you for your support of the hop today!! LOVE the gorgeous embossing on your blue card, Darnell! Hugs! A fabulous blue card and a great blog hop. What a great reason to make a card Darnell - my niece works with Autistic children - love your inside and out birthday card! Great card and a great cause. I have contributed thru my SU demo who is having a challenge. My grandson is on the autism spectrum so all donations and research are greatly appreciated. Fabulous card!! Love the embossed background! The purple is great with the blue!! This was one of the first embossing folders I bought and it's always been a favourite. Great cause - hope the hop is a big success. Wonderful card for a wonderful cause! Thanks for sharing! What a fabulous card Darnell. I love the embossing. How thoughtful of you to provide such nice prizes for the hop. I love your blue embossed card! Great card for a great cause!! Beautiful embossed card Darnell, perfect for this hop! Hi, Darnell! Your card is gorgeous - inside and out! And thank you for your generous sponsorship of the blog hop! You are awesome! Great card! Love that embossing folder! Love your card and love this cause - as you know Lexi has Aspbergers which is at the high end of the spectrum. I will definitely be playing! Love that embossing folder and the little gift you created! Great card! Wonderfully bright and cheerful B-Day card and an awesome cause to contribute to. Super CUTE card, dear lady!! Thanks so much for sponsoring and participating in this AWESOME hop!! You ROCK, Miss Lady!! Love this birthday card!! Thanks for sharing and for joining in on such a great cause. You are so sweet and generous and I love your gorgeous blue card, Darnell! That embossed background is beautiful! Love the beribboned gifts and that cool embossed background!! What a fun and cool card!! But, you, my friend, are the gift - you are marvelous and generous!! Full of awesomeness is what you are!! Love seeing your work and this is no exception!! Thanks so much for participating and supporting this hop!! I hope you have a REALLY GREAT day!!! LOVE that embossing folder and your fab card! Thanks for sponsoring the autism awareness hop! cute card and great cause! 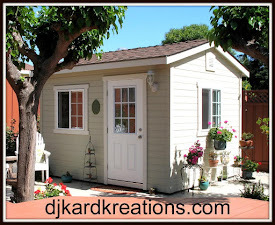 How sweet of you to not only participate in the blog hop but also be a generous sponsor! Your pretty card inspires my to find my Happy Birthday EF and use it again! 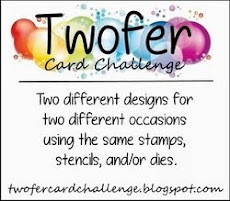 you are such a generous and thoughtful person, and I think it's wonderful that you've helped to bring awareness to autism by participating in this blog hop with such a pretty card! Well done Darnell! 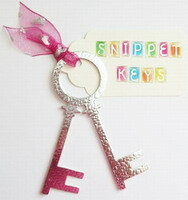 Oh these are so fabulous, thank you for sponsoring such a wonderful blog hop for awareness. Fun and festive card. Love how you used the heart. Wonderful hop and cause. So kind of you to be a sponsor. I love the terrific embossing on this card Darnell!! A brilliant reason for a blog hop! Thank you for being so supportive of it and participating with your lovely blue card. very adorable birthday card ! I really like that you've decorated the inside of your card too! Your embossed blue card with the purple: perfect x awesome! Fabulous, my friend! Looking forward to a down-the-road Skype! Such a pretty card, Darnell! Love the inside, too! Beautiful card! I love that great texture! Very pretty! A wonderful card for a wonderful cause. I love it. Fabulous embossing and beautiful card!!! What a great embossing folder...love the look of the purple on the blue. Wonderful birthday card...and this has been a great hop. This is a wonderful cause, too. I think I need that embossing folder. Any chance of finding out who makes it, pretty please? Fabulous card Darnell and great embossing folder and lovely shade of blue. I love any color as long as it's blue!! This is such a striking card, Darnell! Love the embossing folder you used and the inside is so pretty, too! I was delighted to find this blog hop in aid of Autism as our 8yo son has low spectrum autism. He is a wonderful boy, much loved by many. Your card is brilliant! Thank you to all the sponsors for supporting this cause. Love your birthday card!! Awesome embossing!! And such a pleasure to be hopping for such a wonderful cause too. Beautifully embossed and that big happy says it all! What a fantastic way to raise awareness and your card it perfectly suited for this! Thanks so much for sharing and for being a sponsor! Love your card, Darnell - and your gift and donation to Autism speaks is very generous. Now you've kind of got me wondering what kind of prank you came up with... In other news, so generous of you to sponsor the hop! Darnell...this is just the sweetest birthday card. I love the blue and purple, so sweet! This card is gorgeous! Love the embossing! I hope you and your family have a blessed Easter! Love your gorgeous card. Thank you so much for sponsoring this fabulous hop. I work with autistic kids daily and they have brought much joy (and some frustration) into my life. Thank you for helping to raise awareness of autism in our society. We still have a long way to go. Hugs! what a lovely card Darnell! Love the embossed background! The embossing and die cuts on this beautiful blue card make it a real gem. I do those love dies. Thank you for participating. What a great card! Beautiful, inside and out. Happy, festive and FUN Darnell!! Such a beautiful card. Love the blue and purple combo. I have two children with autism. Thank you for supporting this cause. Great card inside and out. I like the embossing on the front. Love the fun embossing and die cut sentiment! What a great cause to support! Cool blue birthday card! I love it! Love your blue card! Awesome hop for Light It Up Blue! Love all the texture in your card! Super card, Darnell, and a very worthy cause! What a cute card and I love how you decorated the inside! This is a great way to raise awareness about autism. I love how simple, yet nice your card is. My favorite two colors together are blue and purple :) Also, thanks for helping to bring awareness to Autism! Sweet birthday card! I always love that textured background. A fabulous card Darnell, a lovely colour scheme and gorgeous embossing........the inside has such pretty papers. So beautiful embossing card, I like it. Great card inside and outside. Thanks for supporting the cause that effects so many of us. So nice to meet you as my 501st follower....of course I'll follow you in return. Loce this embossed card...great inspiration...have the folder myself too! Hope you will come over on my blog often! What a great cause and a super card that your were keeping for that right moment to come along which it did. Wishing you a happy Easter. Hugs Mrs A. What a perfect colour combo for an Autism blog hop day Darnell and love the textured BG. I love your unique use of blue. That is such a gorgeous color. It make me happy! Thank you for sharing! Love the blue; reminds me of sunny days! And that is a great embossed panal! Happy Eastern to you and your familly! Great card for this heart-warming bloghop ! such a fabulous card, love the shade of blue and the dry embossing! Darnell, there are so many reasons you're a rockstar. But your generosity of spirit, kindness, and compassion for others shines through them all. You're card is awesome and I love how you decorated the inside. What a fun blue birthday card! And the inside decorated too--you rock. Beautiful card for a great cause. I love that embossing folder! It's my most used one because it's so easy to make a background! Great card! I love that embossing folder and the pretty combo of blue and lavender. I will pop over to Veronica's blog and do the hop. Thanks for the tip. Thanks for sharing your blue (happy) card with us. Love the blue & purple together...my 2 favorites. Your card is wonderful. Thanks for sharing. Thanks for sponsoring and helping to raise Autism Awareness. Beautiful cards, Darnell. Thanks so much for your lovely and giving heart by sponsoring this important hop. You are a treasure. Your embossed blue background is great! Thanks for sponsoring the blog hop too - it's much appreciated! Your cards are marvelous as always! LOVE your CHEERY card Darnell, it is so PRETTY, inside & out - such crisp & HAPPY embossing and delicate sentiment!!! As always, Darnell, what a fabulous card! TFS! 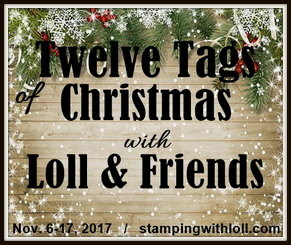 Your card is really wonderful, and your kindness in supporting Autism and this blog hop is just more proof of your generous and caring nature. Great cause to make awareness of. I love your "Happy" card! What a perfect card for the hop. Sweet birthday card! Love the heart bow! Better late than never!! I love all the embossing behind the present and the bow that looks like a heart! It is fun to see the happy cut out and placed on top~I love the inside of the card all gussied up!! Adorable, and love the texture that ef adds. Wonderful cards Darnell!!!!!! A great hop!! This is beautiful and would make anyone happy to receive! Plus I love how the inside is decorated to match...perfect. Love that embossed background! Sweet card. Have a great week! Beautiful card and I loved the hop. Such a good cause. Thanks for your kind words, they mean a world to me. Love this card and great kindness to sponsor it too dear kind generous friend. My candy arrived a few weeks back now and posted it last Wed. Hadn't blogged much before that, and that's why didn't join in last NBUS. Have one of stamp sets but much to play with..